After their third and, so far, final season of Sam and Max, Telltale rather lost their way, creating a middling game series based on the Back to The Future Films, and a Jurassic Park spin-off that was so catastrophically bad that an actual outbreak of rampaging dinosaurs would have been preferable to playing it. Then late last year all of their earlier errors were swiftly swept under the rug by the debut of The Walking Dead, a series which eschewed puns and puzzles in favour of a pacey, dramatic story agonisingly difficult choices and more gut-punches than every single Rocky movie combined. 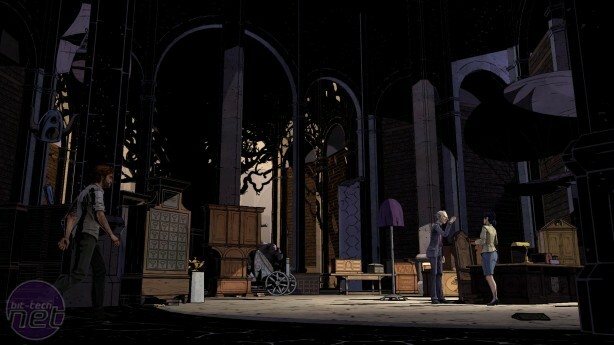 The Wolf Among Us, Telltale's new series based on Bill Willingham's Fables comics, and created by a separate team of developers, has the unenviable task of following their biggest and perhaps most unexpected success. Now we know precisely what Telltale are capable of, the pressure is on The Wolf Among Us to match the quality of The Walking Dead's storytelling, and also address the problems that were evident in the publisher's biggest hit. 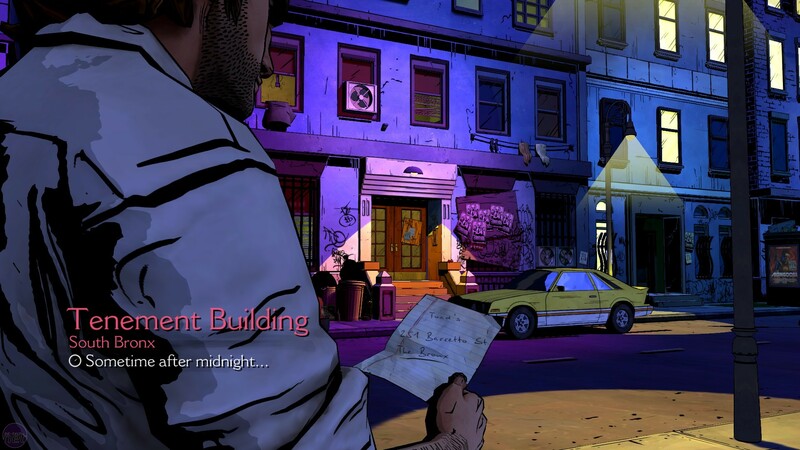 So is The Wolf Among Us ferociously good, or is it a bit of a howler? Judging by its first episode, The Wolf Among Us is shaping up very well indeed. Not only does it demonstrate a similar quality of writing to The Walking Dead., it's also more mechanically satisfying. In fact, the only way you're likely to be disappointed in this initial episode is if you were expecting a game about the gladiator. But let's not get too ahead of ourselves, we're hardly talking Far Cry 3 levels of freedom and interactivity. Like The Walking Dead, The Wolf Among Us has a story it wants to tell, and it won't let you ignore it to go hunting Cassowaries with a rocket launcher. Not that you'll want to, because its story is a strong one. It's centred around the awkwardly named Bigby Wolf, who is the Sherriff of Fabletown, an area of New York that is home to a group of dispossessed characters from familiar fairytales. Bigby does his utmost to uphold the law in Fabletown, but isn't particularly well liked due to his murky past of blowing down houses, devouring grandmothers and terrorising little girls that like to wear red. As a character he shares certain traits with Lee Everett from The Walking Dead, a man who has his heart in the right place but nonetheless also has a capacity to do great evil. There are little differences too, of course, like the fact that Bigby can transform into an enormous wolf-monster. 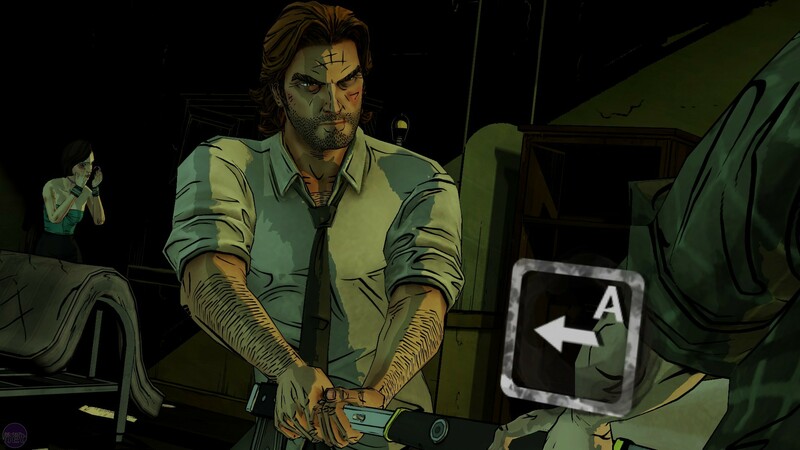 Bigby's ambiguous nature makes him a handy protagonist in a game that is fundamentally about choice. This is primarily how The Wolf Among Us hands the player agency. There's been a murder in Fabletown, and it's up to Bigby to find the culprit by investigating crime scenes and talking to suspects, witnesses, and fellow investigators. One of the biggest criticisms of The Walking Dead was that many of its choices were illusory and would lead to the same result, simply taking a slightly diverted route to get there.